Portfolio Categories: - Previous Projects, -Wilken Service Projects, Commercial Development, High Voltage Works, and Urban Redevelopment. The re-development of Darling Harbour represents an exciting chapter in Sydney’s evolution. Sydney will soon be home to new world-class convention, exhibition and entertainment facilities that combines innovative technology, the overwhelming natural beauty of Sydney Harbour and the vibrant Sydney community. The development will ensure that Australia’s global city remains the first choice in Asia Pacific for international and domestic business events, conferences and exhibitions, generating significant economic benefits for the city and for New South Wales. The project will also develop a new hotel in the north of Darling Harbour. 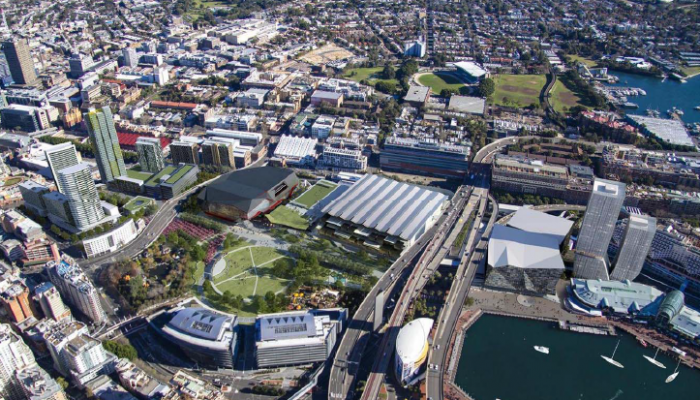 In addition, it will see the creation of a new urban neighbourhood at the southern end of Darling Harbour. It will become home to over 2,000 people with high-tech businesses, apartments, student accommodation, shops, cafes and restaurants, and a new city square. Wilken Service Pty Ltd where selected By Lend Lease for the ASP 1 High Voltage Reticulation & Establishment of Chamber substations Package for the DHL development at Darling Harbour.